the Kwisatz Haderach. That is reason enough. " Paul, Gurney and Stilgar occupy the Governer’s Mansion and Paul sends a captive Saurdaukar to the emperor who is still holed up in the remains of his ship, to discuss terms. Jessica enters and asks where Alia is, Paul tells her she's killing the wounded and marking their bodies for the water teams. Paul tells his mother he's lived billions upon billions of lives and knows the depth of ruthlessness. He says she should fear him, he's the Kwizats Haderach. Paul tells Stilgar the Emperor is coming and to place the captives in the middle of the room. He senses the awe for him in Stilgar and regrets loosing a friend and gaining a worshiper. The other Fremen continue to note Paul's use of prescience. The Emperor’s entourage enters along with Feyd-Rautha, Reverend Mother Mohiam, Guild agents and Thufir. Paul sees Count Fenring and feals fearfull that he's never seen him in any vision, nor had he seen the manner of his own possible death. Paul orders Thufir to stand free and offers his life to him for his years of Atreides service. Thufir dies in Paul’s arms while refusing to kill him for the emperor. Paul orders the two Guild agents to order the armada from Arrakis or he will destroy all spice forever, they obey. Mohiam aknowledges to Jessica that Paul is indeed the one and for that she can be forgiven for the abomination of her daughter. Paul threatens to have her strangled but thinks it better to let her live but never touch him. Paul kills Feyd-Rautha in single combat. He banishes the Emperor to Salusa Secundus and demands the Princess as bride with the Emperor’s entire CHOAM holdings as dowry, an Earldom and the fief of Caladan for Gurney, Stilgar as governor of Arrakis and titles of every surviving Atreies man. He designates Jessica and Chani to negotiate for him. Jessica tells her they may only be concubines but history will call them wives. I just finished my 8th? I forget, reread of Dune. Took me a while to get thru it (7 weeks reading slowly at work) due to RL issues. Anyway, I always wondered why he ended with the statement about concubines being remembered as wives by history? I mean the action is in motion right up to the last few paragraphs, Demanding Irulan, Shaddam's cash, then just.....Boink... done. trang wrote: Anyway, I always wondered why he ended with the statement about concubines being remembered as wives by history? I think it's fair to say the ending of Dune is ... interesting. The "wives" line struck me as odd the first couple of times I read the book, but I've grown to understand it a bit more as I've learned to appreciate (or at least tried to better understand) the women in the story. As far as the climactic battle scene goes, it does seem like there could have been some additional details. But, then again, there's always a danger of going too far in the other direction (*cough*Keith and Bobo*cough*), and Dune is certainly not an "action story" in any case. I won't go so far as to say "rushed," but, overall, I'd argue that Dune seems to end quickly. I've found that it seems very very abrupt when I do my usual thing of slightly-skim-reading it, but if I pay proper attention to every word, it feels like the pace is proper. I actually had a problem with the ending, that the whole "water of life becomes water of death" thing was poorly set up IMO (not set up at all actually). I think it really could have used some foreshadowing earlier in the book to line it up better. Schu wrote: I've found that it seems very very abrupt when I do my usual thing of slightly-skim-reading it, but if I pay proper attention to every word, it feels like the pace is proper. IMO every Frank Herbert book I've read comes crashing through the ending like a mama-bear separated from her cubs, but a huge amount of that is the excitement that is the wrapping up of great tale. I also think that the last line of Dune is one of the most brilliant things I've ever read in literature, and leaving it out of the Lynch film (even though it was filmed) was a cardinal sin. Done with another re-read of Dune! "We must attack in force," the Baron rasped. "We must destroy every last vestige of --"
"Silence!" the Emperor roared. He pushed himself forward on his throne. "Do not abuse my intelligence any longer. You stand there in your foolish innocence and --"
"Majesty," the old Truthsayer said. He waved her to silence. "You say you don't know about the activity we found, nor the fighting qualities of these superb people!" The Emperor lifted himself half off his throne. "What do you take me for, Baron?" The Baron took two backward steps, thinking: It was Rabban. He has done this to me. Rabban has . . .
"And this fake dispute with Duke Leto," the Emperor purred, sinking back into his throne. "How beautifully you maneuvered it." "Majesty," the Baron pleaded. "What are you --"
The old Bene Gesserit put a hand on the Emperor's shoulder, leaned close to whisper in his ear. The child seated on the dais stopped kicking her feet, said: "Make him afraid some more, Shaddam. I shouldn't enjoy this, but I find the pleasure impossible to suppress." "Quiet, child," the Emperor said. He leaned forward, put a hand on her head, stared at the Baron. "Is it possible, Baron? Could you be as simpleminded as my Truthsayer suggests? Do you not recognize this child, daughter of your ally, Duke Leto?" House Atreides trains a handful of men to a high (Sardaukar) standards. House Atreides moves to Arrakis, and is ostensibly destroyed. Nobody ever sees the corpses of the Atreides family. A few years later, Arrakis is crawling with 'rebels', individually easily a match for the Sardaukar, and well-organised to boot. I think paranoid hysteria is exactly what it was. Shaddam couldn't compute the fact that he had been beaten by the Fremen; not even by a Great House, but by a rabble. Since Shaddam had planned entire venture with the Harkonnens under the assumption that they'd be all but bankrupted and weakened in defeating the Atreides, he probably had his own ill intent towards the Harkonnens in mind when he found himself defeated. 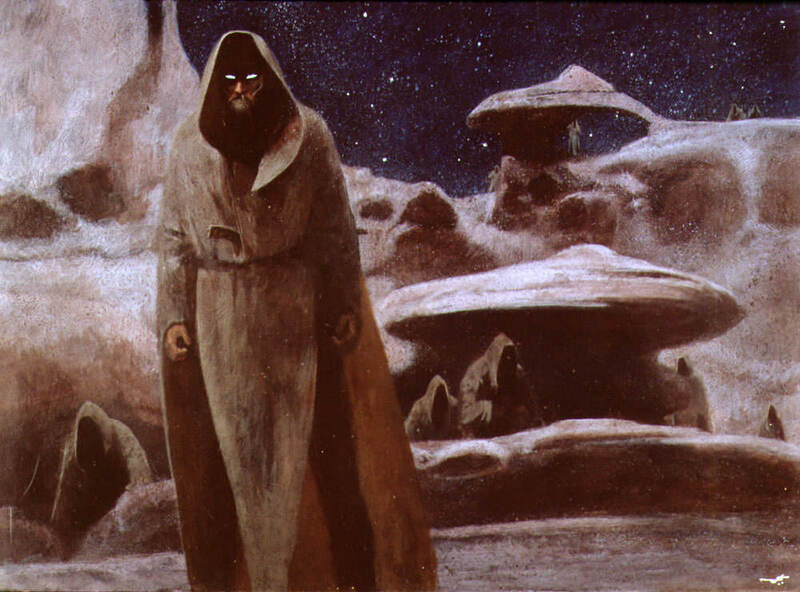 Those whom he sought to destroy would be his first suspects (the two Great Houses), and also from Shaddam's perspective it might be hard to understand how the Baron could have tried in good faith to secure Arrakis and actually failed, and so he might conclude from this that the Baron did not try to do so in good faith. As it happens, if Jessica had followed orders and Paulette had married Feyd, the Atreides/Harkonnen alliance would, indeed, have supplanted the Corrinos from the throne, as per the BG compact forced on Shaddam. Given that Shaddam knew all about this he might have also feared ever since then (maybe 15-20 years previously?) some sort of alliance between those Houses whether or not there actually was one. Good point on the corpses. Though the destruction was attended by Sardukar, so it would still mean the noble, subject-loyal Atreides allowed their people to be slaughtered, as well as alliance with the disgusting Harkonnens. Good point on the BG breeding program he was cooperating with. Maybe he suspected that the two great houses were meant to be brought together (and that they were helped along to power exactly because their blood lines were so important). They're Sardaukar, not Suk doctors. It's not a stretch to suspect that individual soldiers were bribed, especially as the Harkonnens are trying to cover up something. Shaddam is not an oaf; he's a highly suspicious and clever man, but he has a huge blind spot; he only expects opponents to try to take his throne using conventional means; he's not at all prepared for someone trying to take control over the guild and force his resignation. One thing to remember about this is that there are two facets to power: official power, and actual power. Officially the Emperor controlled most of the power, as Freakzilla mentioned. But in fact whoever controlled the spice would have leverage that even the Emperor couldn't contest. We see this fact in action at the end of Dune, where destruction of spice production trumps everything the Emperor has and then some. But even putting aside something as grandiose as destroying the spice, even to control a windfall of spice would make someone very powerful. One of the threads in the book to remember is the Baron's plan, which was to stockpile spice in order to afford this crazy adventure, and then use the recapture of Arrakis to install Rabban, and finally to send in Feyd to save Arrakis from Rabban and use the spice production plus the Fremen to threaten the Emperor. In other words, he was going to do exactly what Paul did, but just without that added detail of knowing how to destroy the spice. When we look at the Baron's plan, it makes it clear that even the Emperor had been underestimating the kind of power that could come from controlling spice production. The Emperor always thought that whoever mined it didn't matter since it was officially under his control, but obviously he was wrong about that. So I do agree with the notion that allowing various families to control spice production was in hindsight a serious mistake on his part. He thought he could reap all the profit while doing none of the dirty work, and in the process probably making allies for himself among the grateful families he assigned to Arrakis. In the end the mining right wasn't just the next best thing to being Emperor - it was better, providing someone knew how to take control of it totally like Paul did. And the reason why this was even possible was because of what was discussed in the other thread about how powerful the Guild is. It was they who instructed Shaddam that Paul was the new Emperor. I thought it was amazing how offhandedly the baron had earlier mentioned the dukes suicide attack on his spice stores on gedi prime which apparently were rather suscessful. made me wonder how many people the duke actually took from caladan to arrakis and who paid for that. do you think the guild charged different rates for different cargo? Thanks, man. Sorry about that. Do you mean you think he changed, or that we see a different side of him? is his joining the emperor in exile cannon? A distaff cousin of House Corrino, he was a childhood companion of Shaddam IV. Arrakis during the Harkonnen regime there and later Siridar-Absentia of Caladan. He joined Shaddam IV in retirement on Salusa Secundus.